The North Texas women’s soccer team won their fifth straight Conference USA championship, their 15th in school history. 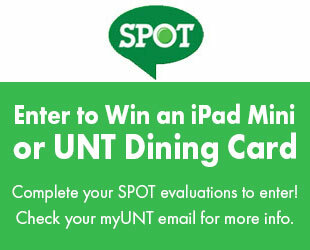 North Texas currently has a 35-6 scoring margin with one game remaining in the regular season. Goalkeeper Kelsey Brann currently has the second lowest amount of goals allowed in C-USA, the lowest being three from a Louisiana Tech goalie who has played seven fewer games. She leads C-USA with a .404 lead over second place. Before Brann’s collegiate career, she started playing soccer at the age of five. She played as a forward until switching to goalkeeper at the age of 12 after one of her coaches recognized her ability to goal tend. Brann later attended Atascocita High School, accumulating a decorated soccer resume. The Humble, Texas native began as a first-team all-state goalkeeper selection as a freshman, earned honorable mention honors as a sophomore after playing six matches due to injury and was a second-team honoree as a senior. Brann was chosen as the District Goalkeeper of the Year during her freshman campaign. Later, she played with several soccer associations such as the United States Soccer Federation National Team and was a US Training Center invitee from 2011-2014. Brann earned first team all-district honors twice and was a member of the Mexican Women’s National Team from 2014-2017. Brann would then commit to playing collegiate soccer at Tulsa but received offers from schools like Louisiana State, Baylor and Houston. During her time with Tulsa, she suffered a concussion and endured medical hardships. Brann would then transfer as a redshirt freshman to North Texas to be closer to home. North Texas found that Brann’s skill sets have brought a lot to the table, recording four straight shutouts from Sept. 7 – Oct. 5. Brann was named C-USA Keeper of the Week on Aug. 20, after facing thirty-one shots over two matches and allowing only a single goal. 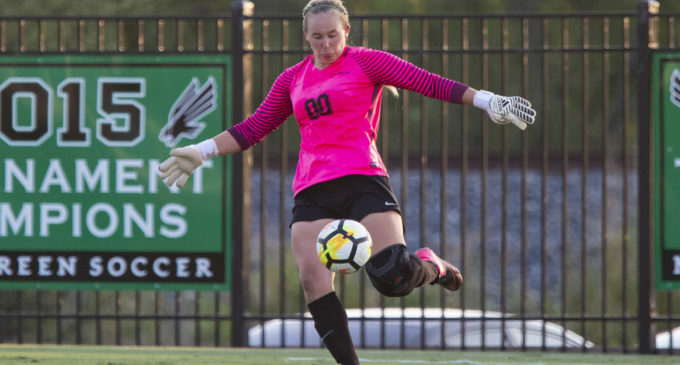 Brann will look to continue her campaign as the most dominant goalkeeper in C-USA as her and the Mean Green look forward to yet another successful year under head coach John Hedlund. Featured Image: North Texas freshman Kelsey Brann prepares to kick the ball in a game against Southeastern Louisiana University on Aug. 24, 2018 File.